Reasons for concern: This aggressive, rapidly spreading, and persistent species can quickly take over disturbed and unattended areas outcompeting native species and reducing plant diversity and wildlife habitat. It can form huge, impenetrable monocultures and is very difficult to eradicate. May have higher water use than some native riparian or wetland species because it has a lot of leaf surface area. 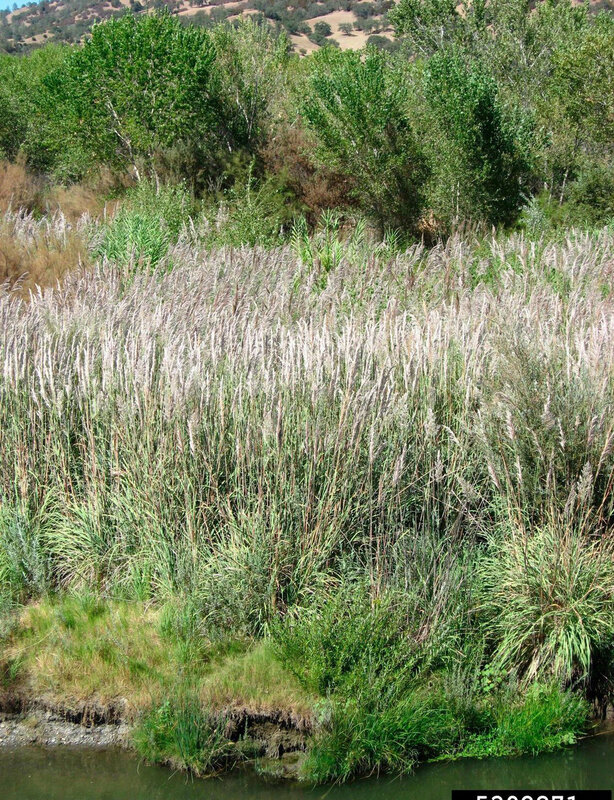 Expansive populations have the potential to change riparian vegetation and stream characteristics in wetland habitats. Can be a wildfire hazard. 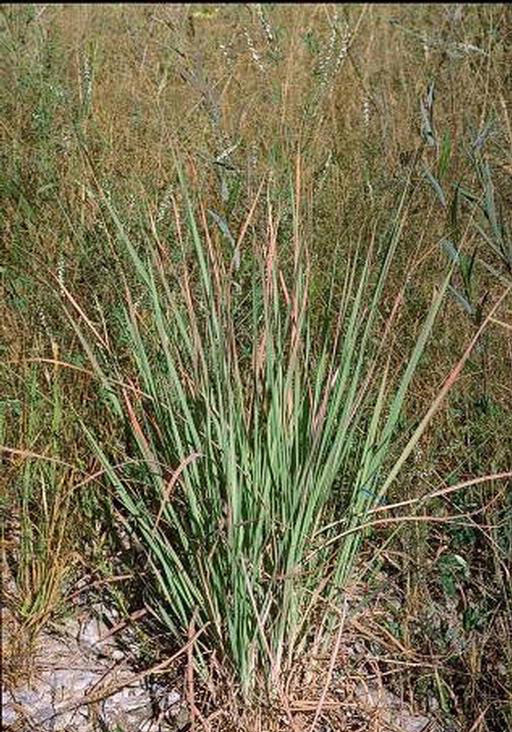 Botanical description: Large, erect bunchgrass that can reach 12 feet in height with flowering cane-like plumes up to 2 feet long. Clump size can be up to 7 feet in diameter. 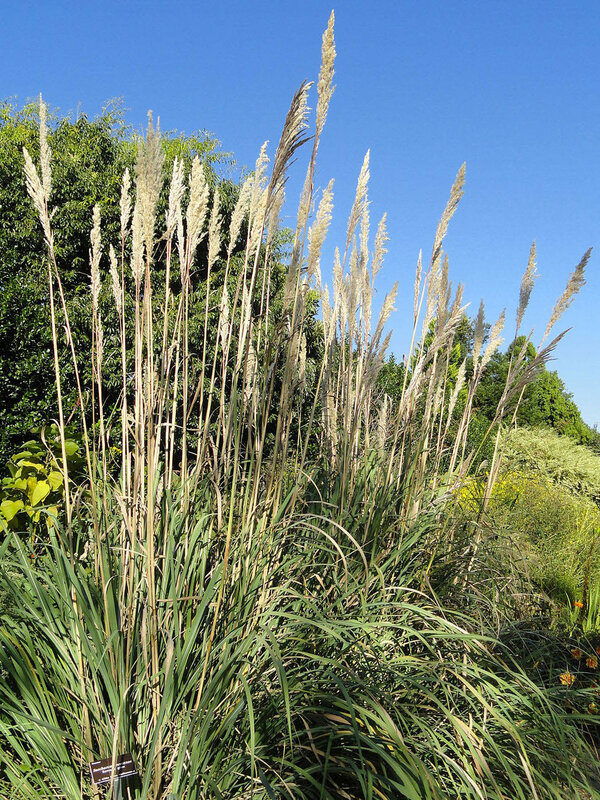 Stem(s): Multiple plumes are pale, silvery, feathery on the tips of bamboo-like stalks growing up to 14 feet tall, appearing in late summer to early fall. 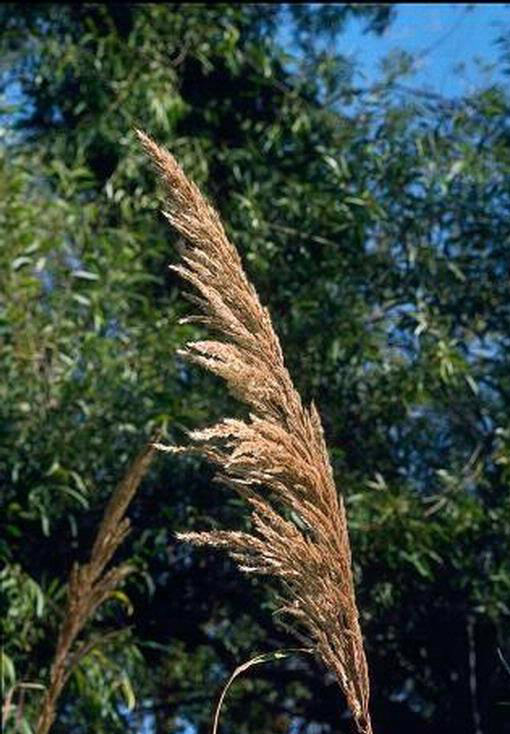 Can have purplish-bronze coloring on stems in fall. Seed heads: Each plume produces thousands of tiny seeds that can be dispersed long distances by wind and water. Native to: Eurasia. Introduced as an ornamental. Where it grows: Disturbed areas. Moist places such as ditches, marshes, and riparian areas, including Glen Canyon National Recreation Area on the Arizona-Utah border. In Mohave, Maricopa, and Yuma counties. In Coconino County along the upper Colorado River in Grand Canyon National Park. Weedy characteristics: Establishes dense, large monocultures quickly, and control is extremely difficult. Root system is very vigorous and difficult to eradicate. Control strategies: Consult with a professional. Manually cut or chop out mature plants. 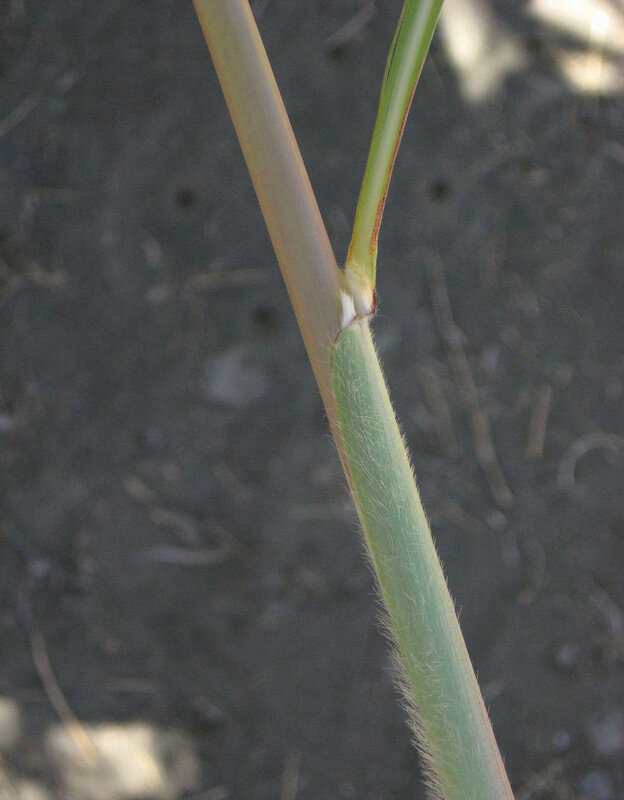 All root and rhizome fragments must be removed to avoid re-growth. Always remove and bag plumes before they mature. 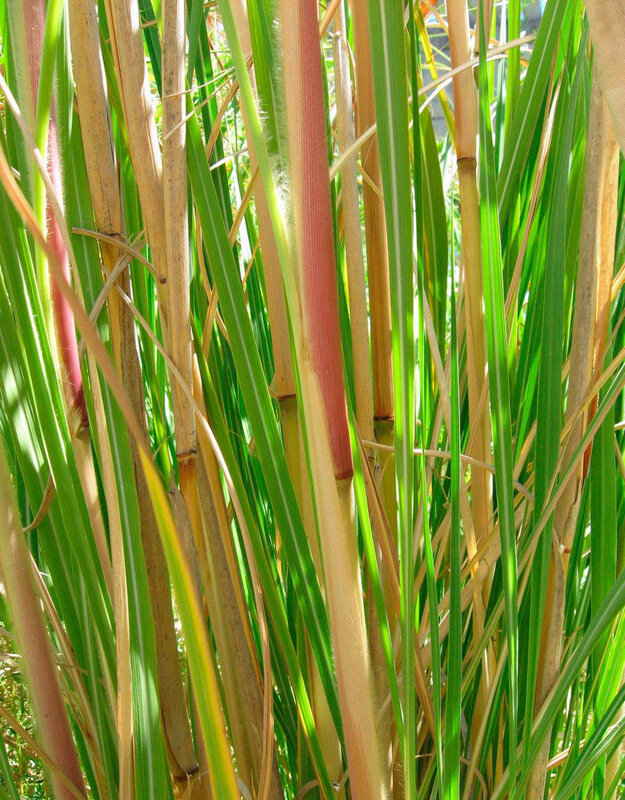 Monitor plants frequently for re-growth. Heavily mulch bare sites or plant desirable vegetation to reduce seed establishment. Herbicides can be effective. Contact your local extension office for more information on chemical control.